Never Enough Nails: Sally Hansen Royal Splendor Miracle Gel Preview! When applied over the Miracle Gel™ shades, the Miracle Gel™ Top Coat volumizes as it protects – more chip-resistant than regular nail polish! Once applied, this gel top coat provides a high-gloss finish and mirror shine. The result: The look of a gel manicure at home, without the trip to a salon! Miracle Gel's two-step application is super-simple. First, apply two thin coats of Miracle Gel™ color to clean, bare nails. Then, apply one coat of the Miracle Gel™ Top Coat. Natural light cures the polish, yielding a manicure that resembles a UV / LED cured gel polish. It removes easily with regular nail polish remover. 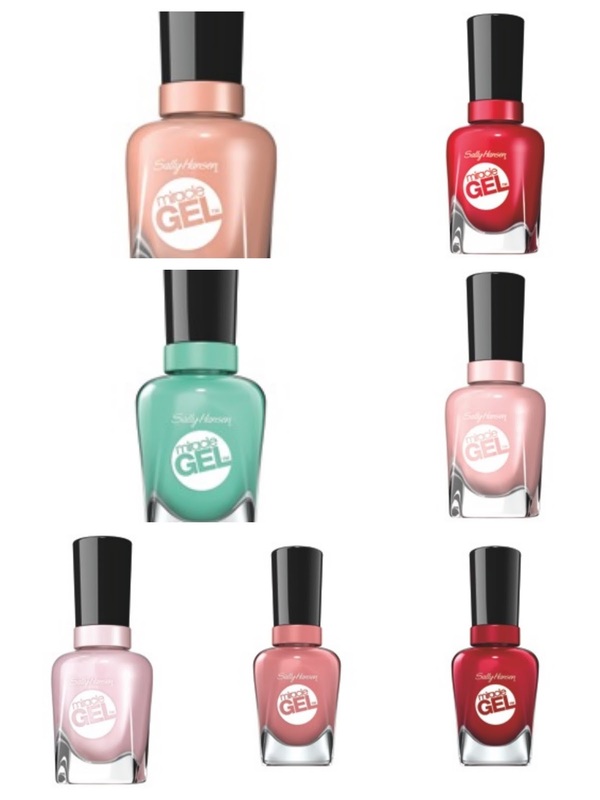 Price & Availability: The Miracle Gel™ Royal Splendor Collection, SRP $9.99 each, hits shelves beginning July 2016.